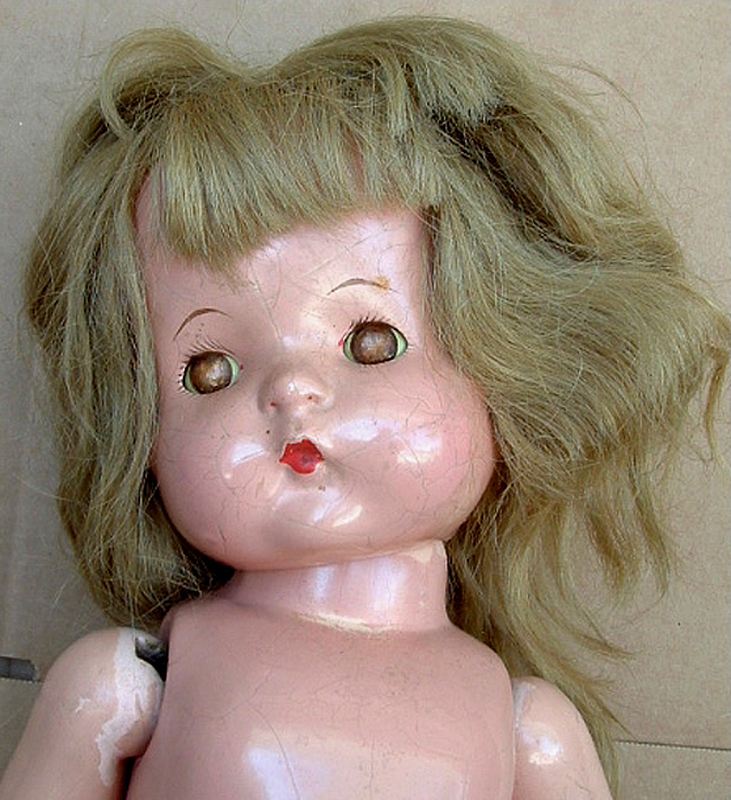 This is one doll from my collection of Patsy Ann dolls that I now keep locked up in the attic. Most of the nice looking ones were used in a promotional campaign back in 2001, but I never had the courage to use this particular one until now. Ughh! I’m a victim of my own demands. My home’s restoration work started back up a month ago and my paying work load increased threefold. And then there was the urgent need to get all the summer annuals planted ASAP as soon as they became available for purchase and before the first week of June, which required me to spend the last three weekends including the holiday to amend the soil and plant. I will post photos soon. Even though there is progress, I feel disoriented, and after three weekends of outdoor labor, two days of oil-based paint fumes, glue for the VCT flooring, bleach for the newly grouted tile, and scorched eyeballs from long hours at the computer, all my intelligent brain cells have been fried. This is my excuse for not posting lately. Please accept this homeless creature as a stopgap.